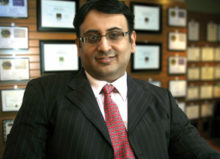 Advit Sahdev, Head of Marketing for Infibeam is a pioneer in digital marketing. He started his digital marketing career by forming his own organization in 2010 which was later aquired by Infibeam in 2014. Advit is the receipient of several national awards in marketing, innovation and entrepreneurship, he is a best selling author and is passionate about research and innovation in marketing and psychology.